With all due respect, the state fair grounds in Des Moines, Iowa would not be on the top 10 list of places to go see in the USA in July. However, it is the 2018 location of the annual pilgrimage for the 2 wheeled BMW faithful. 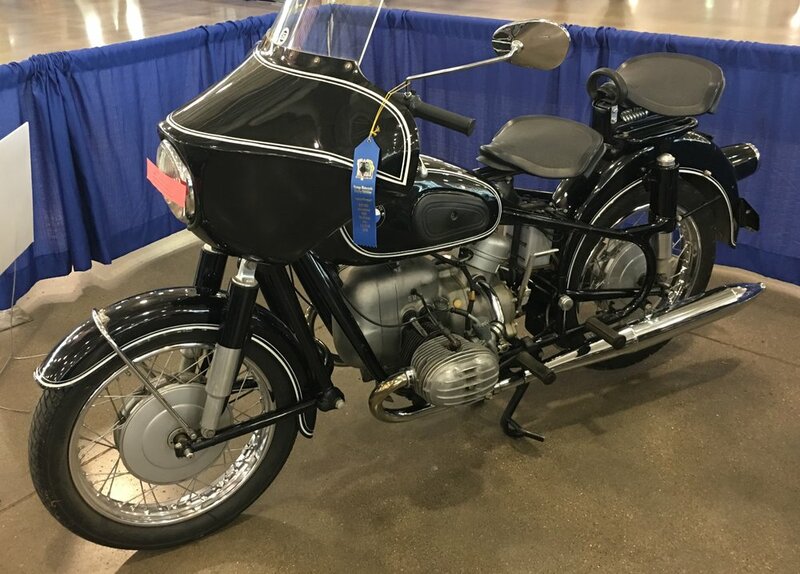 The BMW MOA Rally. An excuse to travel somewhere relatively far away, and to weave in interesting roads along the way. An excuse to take a machine not purpose built for the constant drone of the interstate highway system or the speed of the autobahn, but which never the less is intended to circumnavigate the world. A 1992 BMW R100GS Paris Dakar. Long before BMW had an “Adventure” version of the GS, they had the PD version of the GS. A more Gelande version of the Gelande Strasse. Bigger fuel tank, a bit more suspension travel, high fender (which went on to become the segment-defining “beak”). It was the dawn of the big bike dual sport movement. The R80G/S before it was the original adventure bike, but it did not have the girth and the sheer presence of its’ 1000cc offspring. Sort of like an NFL tackle next to his normal sized mom and dad. The machine has no electronics, and no fuel injection, although it does have upgraded lighting, and luggage. Time did not allow me to completely avoid the interstate, so there was several hundred miles of it on the round trip. I used the throttle lock cruise control, which worked adequately for resting your wrist. The PD handles it well even if the tachometer is between 5k and 6k in doing so. It never feels strained, but it seems to be asking you why you are continuing to do this. Good question. Once off onto the divided highways and B roads, the machine is happier. It accelerates well, passes well using roll on throttle, and stops well. It is obviously not a modern motorcycle, so it draws attention and invites questions. What year is that? How far are you going? You can often see the next unasked question on their faces. Why? Others have looks of obvious envy. Others clutch their smiling curious children to them as if you might infect them with some strange global traveling disease. I never cease to marvel at the variation and beauty of the landscapes in all parts of the USA, and the Midwest is no exception. What others describe as monotonous is just a different kind of beauty. How is it that you can travel down a tunnel of corn that is almost unbroken in 20 miles? When did the last person leave that little abandoned town, and who has captured that history? Why are these 90 degree turns placed seemingly arbitrarily in this billiard flat landscape? Why is there a speed limit on this road? Why did the city form at this particular point on the river? Why don’t we make more things out of corn? Why isn’t this the best place on the continent to view a sunrise or a sunset? How many places actually claim to have the best barbecue? You have time to ponder these and other questions when you travel more slowly, and you have a large fuel tank. 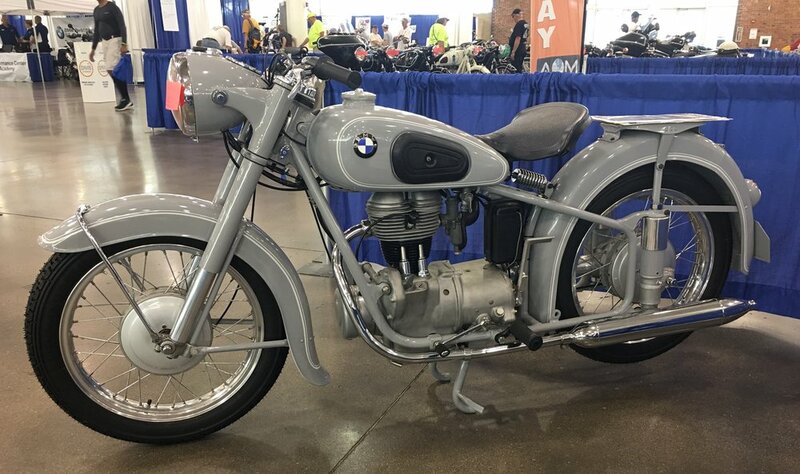 The MOA rally is a gathering of 7000 plus people and their machines with a common love of the blue and white propeller on a two-wheeled conveyance. With that said, any gathering of humans this large will immediately subdivide into tribes. Geographic tribes, and time period tribes (I see you Airheads), and specific model tribes (I see you chromeheads), and genre tribes (I see you GS Giants). All different, all able to poke fun at each other, all able to share the same beer tent. Many different origins, many different walks of life, many different faiths, many different world views, united around one company’s approach to combining metal and steel and plastic and rubber. Surely we can find a way to emulate this on a more important level. But I digress. Seminars educated and informed, test rides informed and even surprised, vendors offered solutions, attendees showered wisdom on each other. Friends reunited. I attended a particularly informative session on lighting and conspicuity. Motorcycles were admired. Oh yes, the motorcycles. Whatever model you rode, many examples of your bike were there. Like the parking lot at Goodwod, you could be well entertained for hours by walking around the grounds looking at machines. Unlike a concours, you are not looking for the most pristine example. The sheer variety of interpretation and personalization is fascinating on this scale, and every machine is a participant. I stopped to admire an R1200ST. Styling only a mother could love, and a rare sighting even at this event, but this machine was well loved and well travelled. The vintage display had a nice assortment as usual of machines from an R32 to an R90S. Green and Red and Grey and Dover White machines broke up the stellar traditional black examples. There was much to discuss at the beer garden that evening. The journey back took a different path, and more interstate, with a good bit of rain here and there. The rain washed the bike, and cooled the cylinders and the rider. It somehow feels good to put on rain gear and keep going rather than retreat to wait it out. Riding in the rain can even be fun as I found out some time ago in Nova Scotia. Drying out was quick, and was accompanied by a welcome end to interstate travel. Rolling hills and lush green woods lined the road rather than corn. Place names became more familiar, and the journey came to a close. A lot had happened in a week, and a changed rider stood in an unchanged driveway next to a brilliantly unchanged machine.